Most of our readers have a pretty clear idea of what SharePoint is. However, many people misperceive its core functions. And Microsoft’s product websites — with their broad ambitions — aren’t always clear enough for new-comers. So for the confused amongst us, here’s a concise response to the simple question: What is SharePoint? CED Solutions provides the Microsoft Professional Certification MCITP: SharePoint 2010 Administrator starting on January 15th and MCPD: SharePoint 2010 Developer starting on January 21st. Names are important and in some cases that goes for software too. In the content, document and collaboration industry it seems that everything needs to fit into perfect categories, so that we can better understand features and capabilities and be able to run side-by-side comparisons. Some vendors define new categories in their desire to set themselves apart. Some of these are deserved, others are marketing tricks. How should you categorize SharePoint? That depends on whether you are talking about SharePoint 2007 (see CMS Wire’s SharePoint 2007 review) or SharePoint 2010 (see CMS Wire’s SharePoint 2010 review). It also depends on who you ask and what your needs are. For starters, the name SharePoint is a solid clue — this software product is first about sharing information and secondly about finding and collaborating on information at a specific place. In the pie diagrams below you see that Microsoft divided both SharePoint 2007 and 2010 into 6 different core functional areas, and that these core concepts have evolved from the 2007 to the 2010 version. The 2010 release offers a number of improvements over the 2007 product, including user interface improvements, greater social capabilities, deeper business intelligence, advanced records and document management and better integration with with other systems. In the following six sections I quickly walk you through the key parts of SharePoint 2010. As you read on, keep in mind that customers are in no way obliged to use all of these things. Some companies will use five or six of the core areas, some might only use one. That’s a lofty goal. Let’s look closer. While there have been a number of improvements related to web content management (WCM) in SharePoint 2010, CMSWire readers know that it’s a stretch to call it a full-fledged web content management system. Nevertheless, Microsoft has stated that they believe SharePoint is a good platform to support your WCM needs, whether it’s for an intranet, extranet or an Internet. 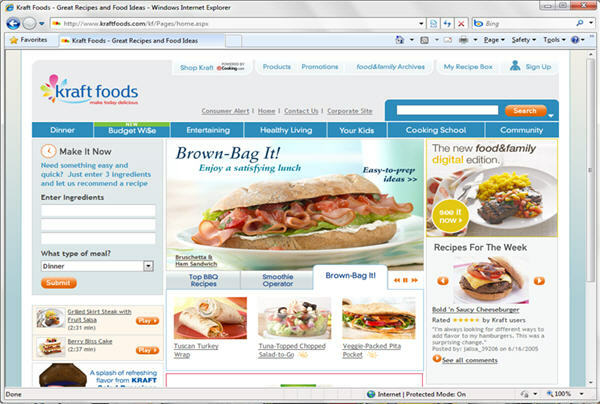 In short, SharePoint 2010 comes with native Web CMS functionality. Regardless of how you use SharePoint, you will likely use some of this functionality, at least for internal collaboration websites. Broader uses could include running your entire intranet on SharePoint, or running your public-facing website(s) on SharePoint. However, these are decisions you’ll have to make based on thorough analyses. There very well might be other products in the market that will better meet your needs. He went on to say that he’s proving it by putting his own website on SharePoint as part of the “SharePoint WCM revolution”. Other people are more tepid on SharePoint 2010 as a Web CMS solution. Errin O’Connor, the CEO of the EPC Group, also believes SharePoint can be used for web content management, but that Microsoft really needs to sort out the licensing before we’ll see it used more broadly for public-facing websites.